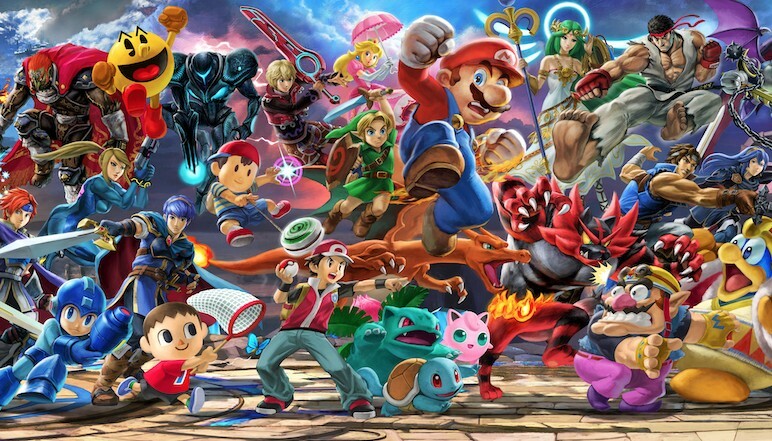 Smash Bros Ultimate is finally here and players can dive into the massive roster of over 70 fighters. Of course, as has been the case since the Nintendo 64 game, you have the ability to change your characters outfit & colors. Here’s how. You can change your character colors from the character select screen in any of the game modes. Simply hit the left and right shoulder buttons to cycle between different colors and outfit schemes. If you want to create Mii Fighters with the new outfits you can go to the “Games & More” section, from the main menu and then select Mii Fighters. From there, you can create new fighters, or edit ones you’ve already created. Personally, my all-time favorite is the good ol’ blue Kirby which reminds me of my favorite freeze power from Kirby Adventure. Besides that, though, you have lots and lots of possible outfit and color combinations for all of your favorite Smash Bros Ultimate characters. You also have thousands of spirit combination, over 100 stages to choose featuring competitive-themed stages and then of course the wacky and wild stages from the best of Smash Bros history. That does it for how to change character outfit & colors in Smash Bros Ultimate. Be sure to check our Super Smash Bros Ultimate guide wiki for more tips, tricks, and information about the latest and greatest from Sakurai-san. Just please stop asking him for Waluigi so the next Smash doesn’t end up cancelled. If you don’t have the game yet, and want to get your hype levels over 9,000, check out this incredible de-make of the World of Light trailer. Question: How to change character outfits & colors in Smash Bros Ultimate? Answer: Use the shoulder buttons at the character select screen, regardless of the game mode, and cycle through whatever colors and outfits you want to use.